Like many chefs, South Carolina native Tim Richardson gravitated to the kitchen as a teenager. Richardson spent several years learning the restaurant business at locally owned steak houses in Columbia, S.C., before discovering his niche at Twigs, a charming restaurant located in Blowing Rock, North Carolina. Under the tutelage of Twigs Chef Ryan Brevda, Richardson honed his appreciation for preparing high quality ingredients and crafting a fine dining experience. 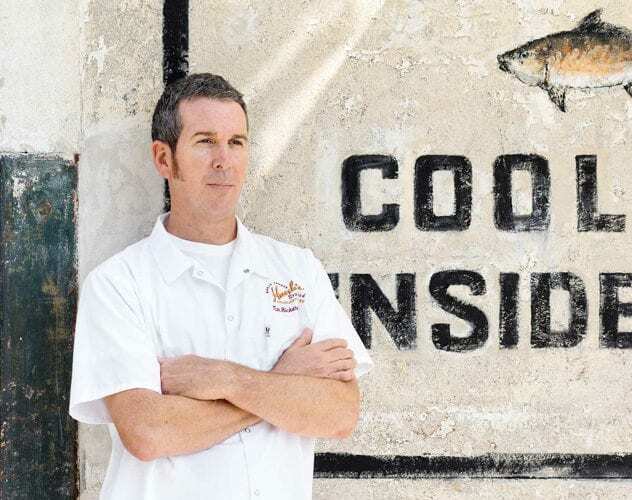 To further refine his culinary skills, Richardson relocated in 2001 to Charleston, S.C., where he enrolled in Johnson & Wales University and began mentoring at Hank’s Seafood Restaurant under founding Chef Frank McMahon. Today, Richardson’s culinary talent, passion for fresh seafood, and dedication to all aspects of running a restaurant serve him well as Executive Chef of Hank’s Seafood Restaurant, a role he earned after many successful years as the restaurant’s Chef de Cuisine. Tim recently was a finalist for Charleston’s best chef as voted by readers of The Post & Courier, Charleston’s Choice Awards. You can find a table online, or please call (843) 723-3474 and we will do our best to accommodate your needs. have read and agreed to our "Privacy and Cookies Policy"
Yes I would like to receive emails with specials and offers. If your requested time is unavailable, please call (843) 723-3474 and we will do our best to accommodate your needs. *Please call the restaurant directly for parties of 7 or more.